Ms. Sands provides valuation services of income-producing and investment properties including residential land development. 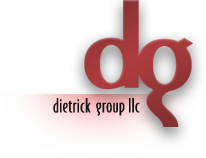 Prior to joining Dietrick Group, LLC, she gained extensive appraisal experience as a certified residential real estate appraiser and general real estate appraiser trainee with Imperial Realty Appraisal, LLC, Whitehall, Pa.
Ms. Sands obtained her Pennsylvania Real Estate Salesperson’s license in 1999 and Pennsylvania Residential Real Estate Appraiser certification in 2002. She eagerly anticipates General Appraiser Certification in Spring 2013. Ms. Sands holds a B.A. in English from Millersville University, Millersville, Pa.
Ms. Sands owned and operated Wooden Hill Construction Company, a residential/commercial framing operation from 1993 to 2011. She is a member of the National Association of Realtors, Pennsylvania Association of Realtors and Lehigh Valley Association of Realtors. Karen is active in her church, serving as an elder, chairman of the Stewardship and Mission Team, choir member and teacher. She enjoys family time, volleyball, and traditional archery.